A mage never forgets a birthday. 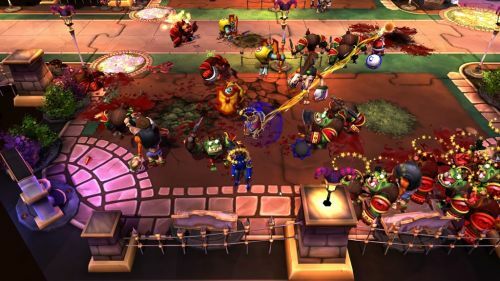 Those of us still bounding around the Dungeon Maestro's theme park have a lot to love about Dungeonland, as our co-op review so masterfully illustrates. Recently, Paradox Interactive placed the previously exclusive Grimoire Pack DLC on sale for the buying populace to consume along with an update that fixes a few rough spots in the game. Oh, and then there are the three video guides narrated by Rogue, Mage and Warrior. Just for fun. The Grimoire Pack was previously only available to those who pre-ordered Dungeonland, so if you were asleep and somehow missed out, you can now grab it for $2.99. The DLC grants access to new traits and possession abilities and adds five new spells, including the ability to summon walls of fire/monsters. Page created in 0.2358 seconds.